In this, the first commercial recording of contemporary Irish composer Mary McAuliffe’s heartfelt and moving music, Delos presents a theme album of sorts. Its two most substantial works recount the wrenching departure of untold thousands of Irish folk to America during the 'Great Hunger' famine of the 1840s – and the Emerald Isle’s persistent 'calling home' of her sons and daughters to the land of their forbears ever since. 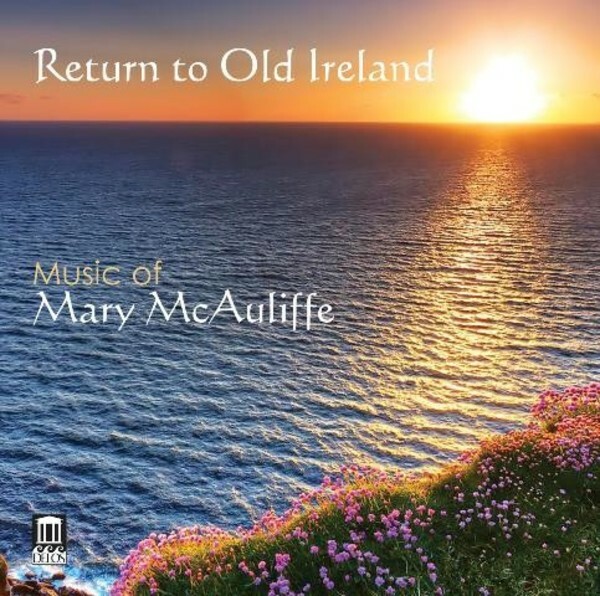 Scattered among these highly emotional vocal and choral pieces are varied examples of McAuliffe’s other compositions, including touching art songs setting the verses of W B Yeats, Ireland’s greatest poet, plus engaging samples of her piano and chamber music and a sacred choral number. Her affecting music is winningly performed by a variety of accomplished vocal, choral and instrumental artists, with most coming from the music department of West Virginia University. Most prominent among them are pianist (and album producer) Lucy Mauro and tenor Donald George: both widely acclaimed for their sterling performances in other Delos albums concentrating mostly on the work of women composers.